The beard has lost its spot at fashion’s top table, but bare-cheeked men still look on the hirsute with awe. Bushiness had its moment quivering down runways, but even if bristles aren’t trending, there’s still something about growing hair from your face in such volumes it can be styled and shaped, that greens the eyes of those who can’t. Because while some chaps seem (Brian) Blessed with cheeks that erupt like Vesuvius, who must shave morning and night or start to look like a Victorian cricket captain, for others, facial hair hits puberty then halts, leaving beards as patchy as a Christmas tree in June. But fret not, smooth-cheeked men. 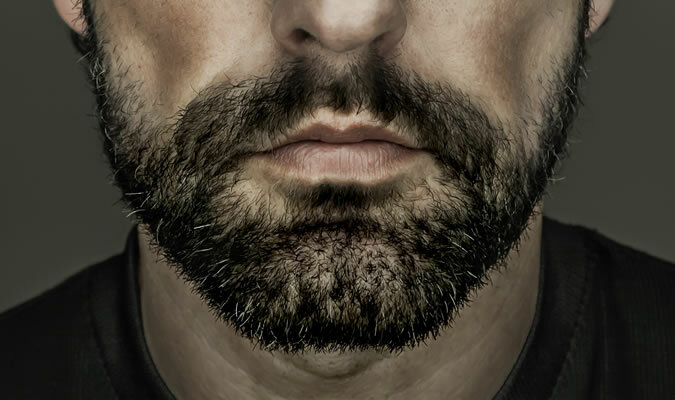 Before googling beard transplants (they exist and the pictures aren’t pretty) know that with some shaving savvy you can turn a barren beard lush. If you’ve always balked the minute your face winds up like Keanu, then step away from the razor. Yes, there’s going to be an awkward month or so where you beard looks like someone’s ripped off duct tape. But once you graduate from teen fluff and hit fisherman-level length, the fulsome zones should cover any holes. If they don’t, it’s time to work smarter. “Some patches you can get away with,” says Adam Brady, beard tsar at Ruffians barbers. You can shave to the level of gaps high on your cheek, or low on your throat, to create face-flattering angles. 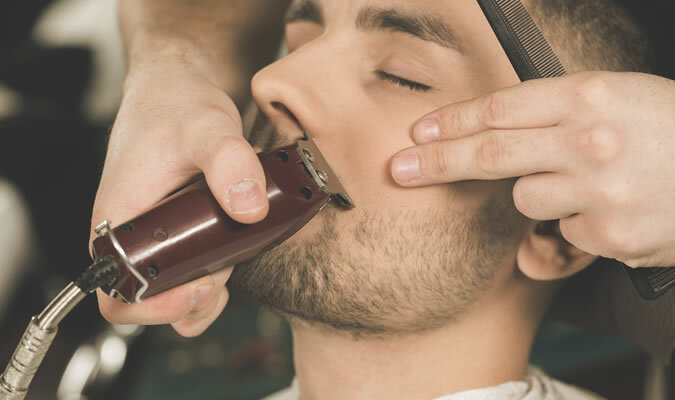 “But if they fall into the middle of your cheek, a low-grade clipper helps lessen the contrast.” The length you’re shooting for is tomorrow’s five o’clock shadow; set your clippers to grade two and let loose all over your face and neck. It’s short enough for holes not to seem so barren, long enough that you don’t look like you’re late for double maths. If true lushness is an unattainable dream, dial up the contrast. Your sideburns and neckline grow like the Eden Project, but let them run wild and you only make any bare patches seem barer. Better is to chop them back and add sharp edges. That means clippers through the fur, then a razor beneath your Adam’s apple and (as high as your patchy fuzz affords) on your cheeks. “It can create the impression of a more angular bone structure,” says Brady. Beard still won’t play ball? A delicate trimmer hand can create order from uneven growth. “You can do a sort of contouring, where you figure out which bit of your hair grows thicker, compared to the bits that are patchier,” says Brady. Trim the long bits back to match the short and, when it grows out, everything should be even. It’s a tricky self-operation, so you might want to tap up a steady handed barber. But once everything comes up uniform, it’s easier to manage at home. The colour also darkens any pubescent fluff, turning downy hair into bushy bristles.